Do you Eat Sleep RC? Then we want you! The CompetitionX Street Team is a passionate group of Radio Control enthusiasts willing to promote RC and help grow the hobby. Online promotion; use your social connections to share and spread the word about new RC products, events and videos. 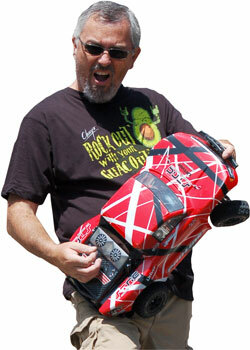 “On the street promotion”; wear your shirt, run your stickers and have fun doing what you love; driving toy cars! Assist in recruiting additional CompetitionX Street Team Members. Provide CompetitionX with cool and interesting, RC-related information we can share. Members of the CompetitionX Street Team act as representatives of CompetitionX and, in return, will receive cool swag, stickers and other awesome items. Do you have any writing experience and, if so, please tell me a little about it.